Wake Forest University kicked off a traveling alumni fundraiser with a tented event on campus. The tent featured interior dividers to create separate spaces for the different segments of the event. 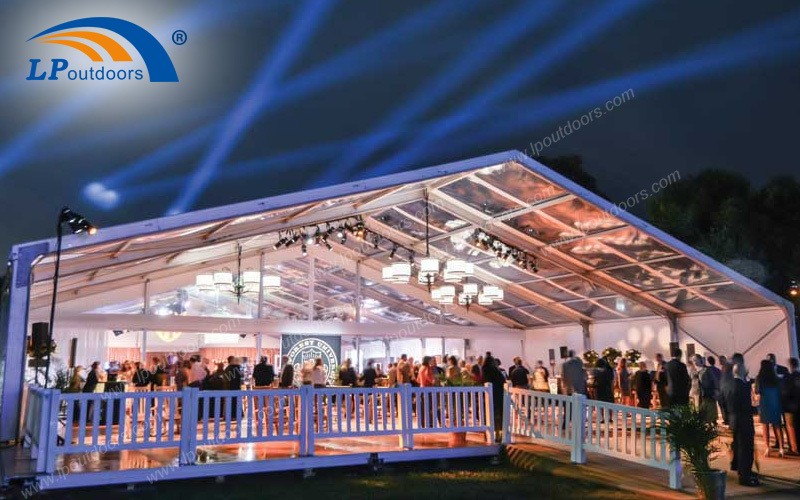 Li ping provided an 25 x 75M tent for the Wake Will fundraiser. 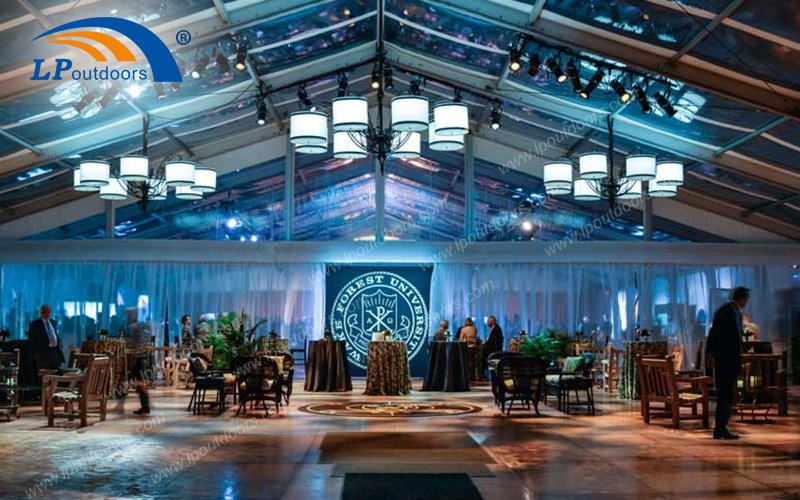 The tent featured interior dividers to create three different event spaces all under one roof–a reception space, a program area and a back-of-house. We also created a covered patio area by removing the gable end of the tent structure and all of its components at the entrance of the reception space. The reception space was highlighted with clear tops and a leveled hardwood floor. Guests then filed into the program area which was darkened with custom made black wall liners and a black ceiling liner, so that guests could view the video program. If you need a customized party tent for your special event,please contact us and would you let us know which items you favor?